Sub-unit of AKB48 formed of Sayaka Nakaya and Miku Tanabe. “BABY GAMBA” is a character created based on the 1972, classic juvenile literature “Boukenshatachi Gamba to 15 Hiki no Nakama” (written by Atsuo Saito). 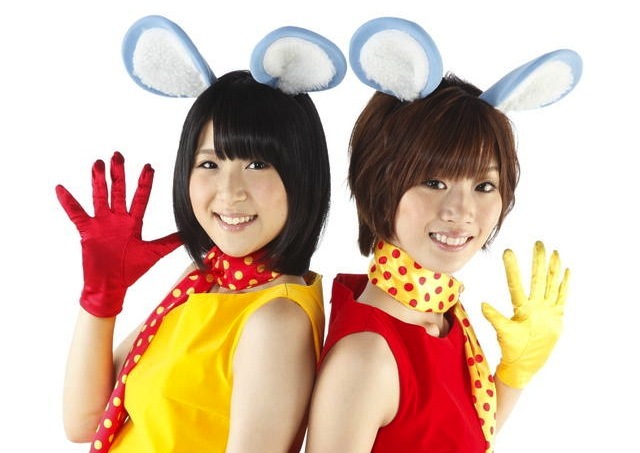 “BABY GAMBA” consists of cute mice characters led by Gamba, who sing about “adventure, friendship, bond, love, and the spirit of never giving up. BABY GAMBA finally debut as artists with the inclusion of Sayaka Nakaya and Miku Tanabe of the National idol group AKB48 on vocals.